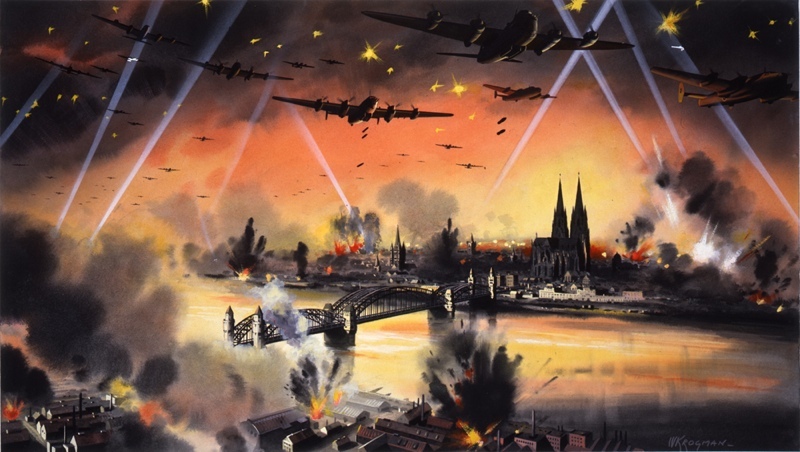 Cologne Germany (Köln) was bombed in 262 separate air raids during WWII, but Operation Millenium, the RAF attack on May 30 1942, was the first Allied “bomber stream” raid with > 1,000 aircraft. With over two thousand separate fires started by the raid, only Köln’s wide streets and the action of German fire fighters prevented the fires from combining into a firestorm. 411 civilians and 58 military died in the raid. 5,027 people were listed as injured and 45,132 as “bombed out”. The RAF lost 43 aircraft.